The famous Williams sisters, Venus and Serena Williams, were both groomed from a very young age to become the best athletes the tennis world had ever seen. With some help from their father, Richard Williams, who was a tennis novice himself, they trained relentlessly on dimly lit tennis courts in their hometown of Compton, Calif. The circumstances surrounding life in their gritty neighborhood could've stripped them of their dreams and aspirations. But their father wouldn't allow the sisters to settle for anything short of becoming champions. Not even the gunfire and violence that surrounded them during their formative years could stop them from dominating their opponents with their sheer athletic prowess. Yet no matter how many Grand Slam wins they racked up and no matter how many times the sisters teamed up to win a series of double titles, their upbringing and subsequent tragic events left them with emotional scars that may never fully heal. 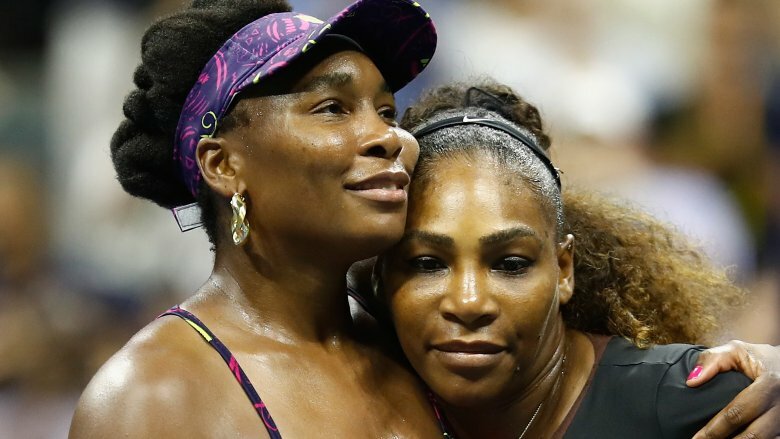 From coping with the murder of a loved one to dealing with racism from fellow athletes and taunts from tennis enthusiasts, this is the tragic real-life story of the Williams sisters. 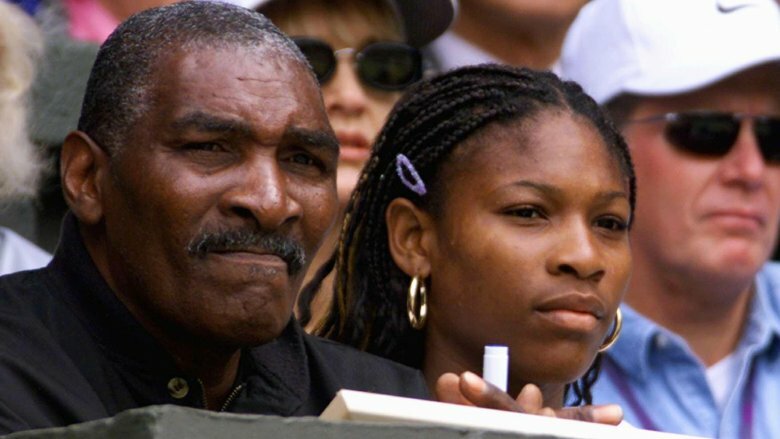 After being amazed by how much money tennis stars were raking in, Venus Williams and Serena Williams' dad, Richard Williams, taught himself how to play the game by watching instructional videos, before passing on the knowledge to his two young daughters. To achieve his dream of raising two of the most talented tennis stars, the young Williams sisters spent hours, day after day, practicing the game on tennis courts in the gang-infested city of Compton, Calif. 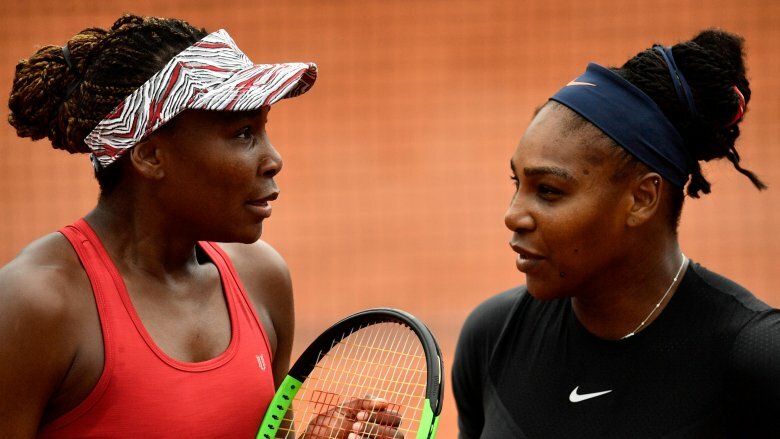 According to the The Independent, Serena and Venus' home court was "littered with drug addicts' syringes," and it was far too common for the tennis hopefuls to hear random gunfire while training. Despite the grave and scary conditions that would've prompted most people to give up the outdoor sport for good, the Williams family had success on their minds, and their years of training and dedication eventually paid off. Richard went on to be inducted into the American Tennis Association Hall of Fame and the Black Tennis Hall of Fame, as noted by USTA. And the sisters, of course, have gone on to dominate their opponents in their singles and doubles matches. But the memories of the events that happened in the violent area surrounding their hometown tennis courts will remain with them forever. Along with the constant, rampant gunfire that disturbed their hometown, Venus Williams and Serena Williams also witnessed violent acts up close and personal at a very young age. "I remember one afternoon there was a drive-by and we hit the ground. Guy got off the sunroof and started shooting, and we went back to practice," Venus shared at a 2017 event (via The Undefeated). After their day of practice, and after narrowly escaping tragedy, the sisters and their dad made the trek back home. Venus and Serena were too young to truly grasp what they had just witnessed, but they recounted the day's events to their mother. "My mom was just so upset. So upset. But unfortunately sometimes as a young person, you can get used to that. And no one should have to get used to that," Venus said. 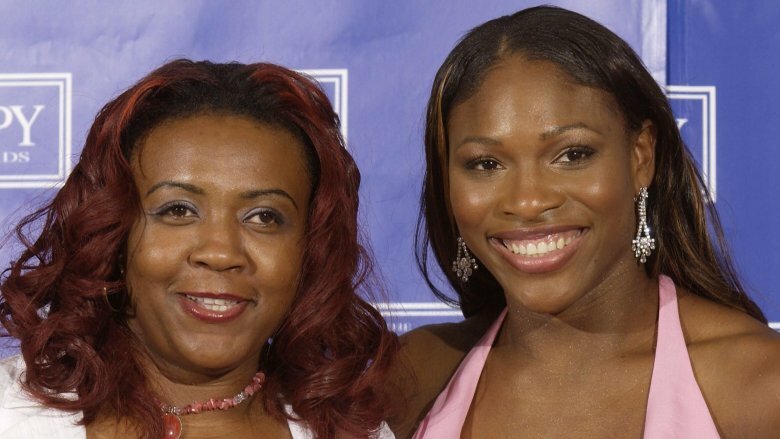 The Williams family was struck by tragedy in September 2003 when Venus and Serena's half-sister Yetunde Prince, a nurse and mother of three, was murdered in Compton, Calif. while sitting in a car with her boyfriend, according to CBS News. The murder happened just one mile from the same tennis courts where the Williams sisters once trained during their younger years. Almost six years after the tragic event, Serena opened up about her sister's death, describing the aftermath of the murder as a "real dark period in my life" in an interview with People magazine. "I went through depression. I never even talked about it to my mom," Serena said. She also revealed that no one even knew she had secretly attended therapy sessions to help deal with the grief. In honor of their sister, the family created the Yetunde Price Resource Center (YPRC) in 2016 — an organization that gives financial, spiritual, emotional, and physical resources to those who've been impacted by violence. 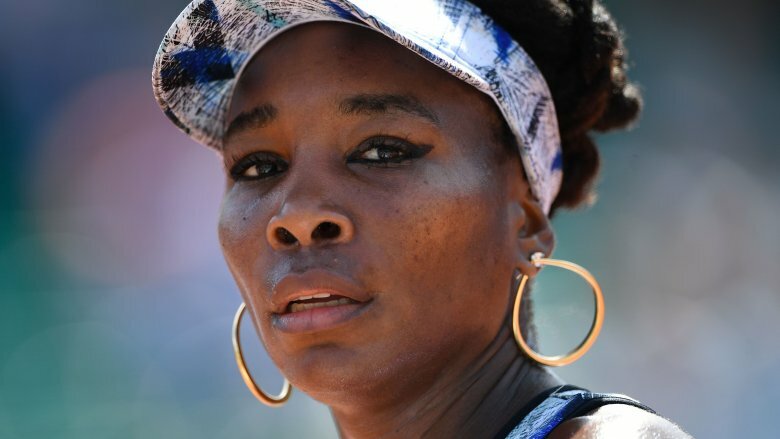 During a conversation at a 2017 event (via The Undefeated), Venus Williams and Serena Williams opened up even further about the tragic 2003 death of their half-sister Yetunde Price. Prior to losing her to gun violence, the Williams sisters' lives were surrounded by violent acts being committed in their poverty-stricken city. Venus described how Compton, Calif., rife with low-income families, had an abundance of older vehicles around their neighborhood. Because of this, it was difficult for Venus and Serena to distinguish between the sound of a car backfiring and the sound of a gunshot. So instead, the sisters would immediately hit the ground of the tennis courts no matter what sound they heard, as a way to ensure they were out of harm's way. After they'd stayed on the ground for a brief moment, Venus said their dad "always had us get back up and practice, though." 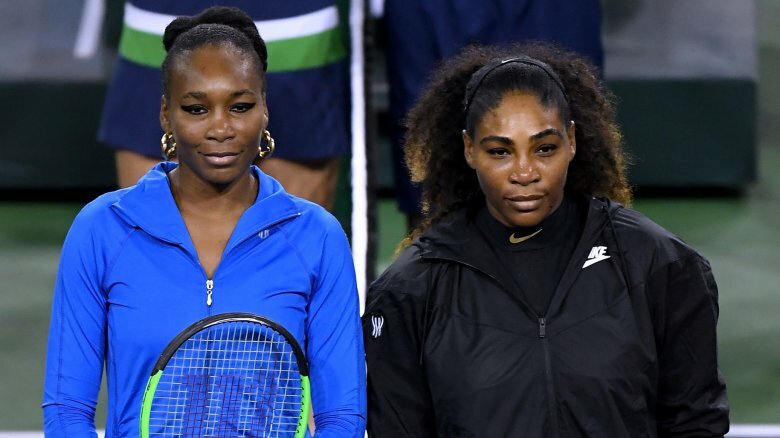 Venus Williams and Serena Williams were set to meet in the semi-finals of the 2001 Indian Wells competition, but Venus pulled out five minutes before the match, citing tendinitis in her knee, according to BBC. This angered the crowd, who questioned the sisters' and their father's integrity. Due to what could be described as racially motivated boos from the crowd, the entire Williams family was heartbroken over the series of events. "This haunted me for a long time. It haunted Venus and our family as well. But most of all, it angered and saddened my father," Serena wrote in a piece published by Time magazine in 2015 — the same year she decided to return to Indian Wells after boycotting the event for 14 years. Choosing to step foot at the same place where she had one of her biggest games — and where she'd spent "hours crying in the Indian Wells locker room" — is a true testament to the Williams' sisters resilience. Early on in their careers, Venus Williams and Serena Williams' appeal could be attributed to the fact that they were two young African American girls taking the tennis world by storm. Soon enough, they proved to have the on-court talent that would help them crush many records, such as in 2000 when Venus became the first African American Wimbledon champion since legendary tennis player Althea Gibson's back-to-back wins in 1957 and 1958 (via Lifetime). Making it in the sport wasn't easy, and, unfortunately, the Williams sisters encountered a great deal of racism along the way — but one of the worst displays of racism didn't even come from the tennis scene. Two amateur Australian football players dressed up in blackface to imitate the sisters in September 2018, and a third footballer dressed up in blackface to imitate Aliir Aliir, a Sudanese Sydney Swans player. The insensitive photo was posted on Facebook and was later deleted after intense backlash, according to NITV, but what's posted on the internet remains there forever. The Penguin Football Club, for which the three men played, issued a statement to Australia's ABC News (via The Washington Post) on behalf of the footballers, expressing their remorse. But the damage had been done. Some argue that Serena Williams is the star of the Williams sisters. As of this writing, she's ranked as the no. 15 best tennis player in the world, according to the WTA Tennis rankings. Venus Williams, on the other hand, falls at the no. 40 spot. While Serena may come out on top record-wise, in their private lives, big sister Venus always took the lead, with Serena following very closely behind. 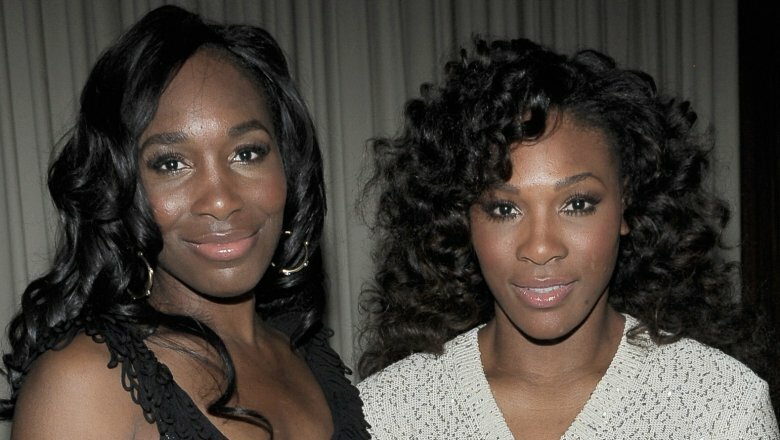 That's common for most siblings, especially those who are close in age, like Venus and Serena are. But Serena admitted in an interview with Oprah Winfrey that she tried to be like Venus for the majority of her life. She even admitted she would do everything Venus did, going as far as to order the exact same meals as Venus when their family would go out to dinner. "My parents would make me order first, but once [Venus] ordered, I'd change my mind. It was tough for me to stop being Venus and become the person I am," Serena said. Over time, Serena finally claimed her own identity, but it didn't happen until she hit the age of 21. "One day I just said to myself, I'm not Venus. I'm Serena," she said. It's not easy living life in your big sister's shadow … even if you're actively copying her every move. We're just glad that Serena managed to shake off her insecurities and truly discover herself. Serena Williams was eight-weeks pregnant while competing at the 2017 Australian Open. And like a true champion, she powered through the match without dropping a set to win against her opponent — who just so happened to be her big sister, Venus Williams, The Guardian reported. Serena went on to deliver her daughter via an emergency C-section after the baby's heart rate dropped dangerously low during contractions, Vogue magazine disclosed. 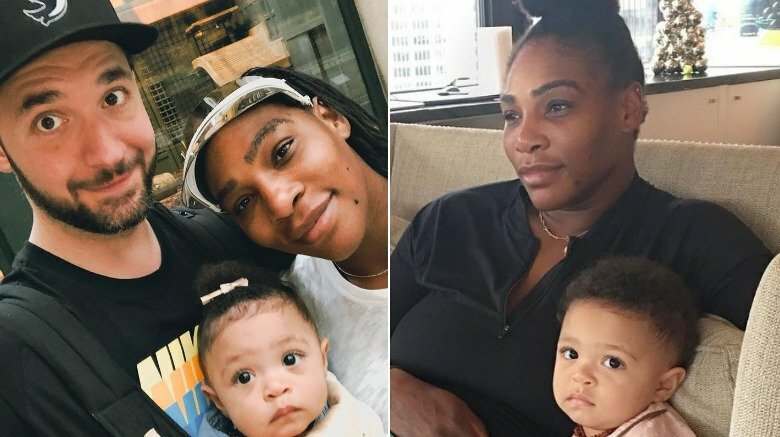 The surgery went perfectly, and Serena and her now-husband, Alexis Ohanian, welcomed their baby girl, Alexis Olympia Ohanian, Jr., into the world. Unfortunately, it wasn't long until things took a quick turn, and then, as Serena told the publication, "everything went bad." While recovering from the C-section, Serena experienced shortness of breath, which was later attributed to small blood clots in her lungs. Her C-section wound would later unstitch itself and rupture during one of her intense coughing spells, requiring yet another surgery that revealed "a large hematoma had flooded her abdomen," Vogue noted. After having a filter inserted into a major vein as a preventative measure, Serena was finally able to go home, thankful to have the opportunity to start her life as a new mom. "I remember the first day she came and she slept with me, it was just the most amazing feeling ever," Serena told People magazine. We're sure Serena's family was happy to finally have her and her child safe at home. 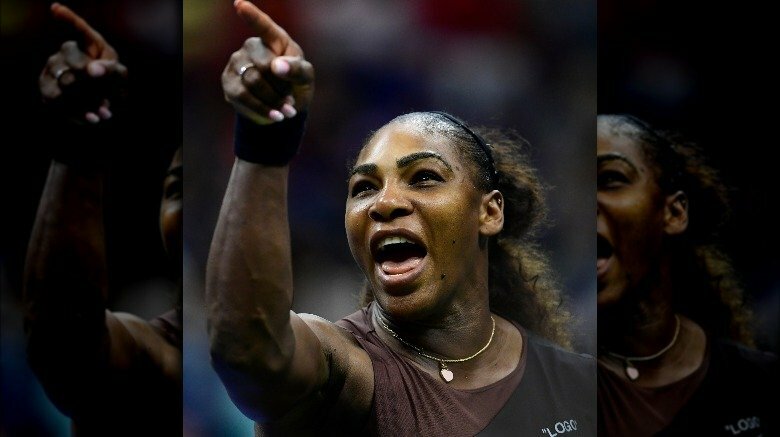 At the 2018 U.S. Open, Serena Williams got into a dispute with umpire Carlos Ramos after he issued her a violation, claiming she'd received an illegal sign from her coach. Clearly frustrated, Williams threw her racket down on the court, before being handed yet another penalty during a decisive set against her opponent, Naomi Osaka. Seething with anger, Williams called Ramos a "thief" and was hit with another violation for "verbal abuse," according to ABC News. Holding back tears, she argued that male tennis pros have done and said things "a lot worse" without any repercussions. Williams lost the match, and the incident called into question a woman's right to express her frustration. It was apparently okay for male tennis pro Dominic Thiem to smash his racket during the same tournament without any consequences, and tennis great John McEnroe has been celebrated for his fiery temper. Williams, on the other hand, was punished for expressing emotion. 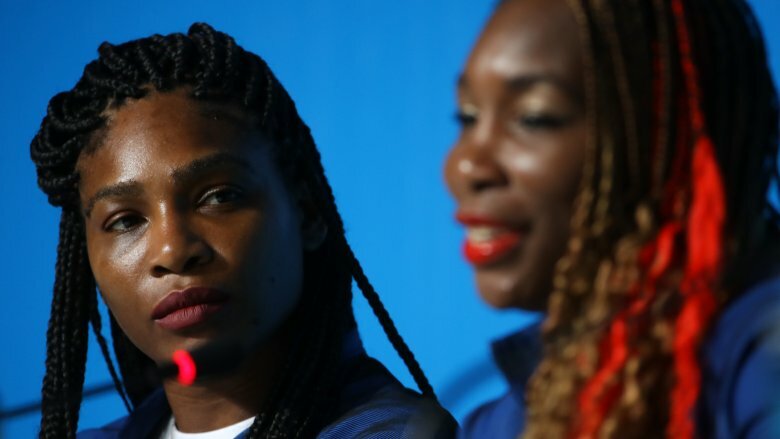 Williams turned what she viewed as unfair treatment into a positive by penning an open letter in honor of International Women's Day in March 2019, shedding light on double standards in the sports world and beyond. "Women are deemed 'emotional,' 'hysterical,' or 'aggressive' while men who behave the same way face no such consequences," she wrote in Fortune. "This is a huge barrier women face each and every day and we need to continue calling out these stereotypes and behaviors to make true progress."